This project will see 2-3 screens placed in 7-Eleven stores, with the content largely aimed at driving food and beverage sales in the 7-Eleven Munch Zones. The smart software used by Digital Signage Group links to the 7-Eleven point of sale system and is smart enough to update content remotely seeing what is selling or sometimes what is not selling and needs promotion. This can be helpful when selling perishable food .If for example not all muffins are sold by afternoon the screens can be displayed a special to promote the muffin this increasing sales and reducing wastage. Digital Signage Managing Director Andrew McIntosh said when asked about being awarded this large network: I am very proud of our team, we know we are not the largest, nor are we the cheapest but I believe our reputation for delivery, accuracy and service is what earnt us the 5 year account. We excited about this new network and the uses 7-Eleven are finding from our solution. YHA hostels chooses Digital Signage Group for its Digital Signage needs. YHA Hotels are in the process of rolling out digital signage in many of their larger hostels to improve communication and interaction with guests. Digital Signage Group general Manager Gavin Lipschitz commented: Its early stages but already YHA are starting to see the benefits of this visual means of communication. What started as a few screens in one location is quickly growing. 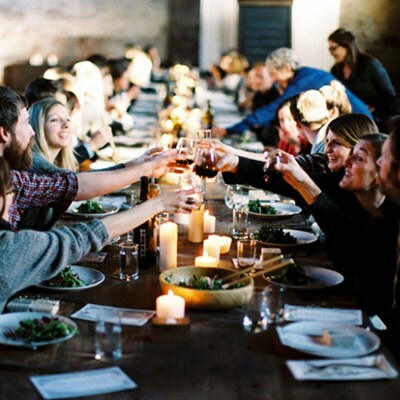 Conventional wisdom says that if a campaign delivers the right message to the right people, in the right environment at the right time, success will result. However, determining whether the message and its delivery system has worked or not is rarely easy. Measuring results often entails poring over sales figures and interviewing viewers/customers both of which can be tedious, time consuming and inaccurate. An organisation, considering the cost and complexity of a digital signage solution, needs to be assured there is payoff in increased sales, customer experience or both. Anonymous Video Analytics (AVA) can be added to a digital signage solution to provide a comprehensive suite of audience measurement data. AVA distinguishes how much attention people “spend/invest” in the digital signage experience. Technically speaking, as someone approaches a monitor, cameras focus in, capturing a digitised impression of the viewer. Actual images are not used, thus keeping data anonymous. DSG offers a full digital signage solution suite of products including AVA’s, and can not only design and rollout your digital signage implementation, but also analyse and optimise the effectiveness of digital signage in achieving your objectives. DSG is happy to announce Romeos, franchisee at IGA Oxford St, as a customer. Digital Signage Groups affiliate company which focuses on Work Place Digital signage has taken on a new highly experience Manager for its New Zealand business. Clever technology provides improvements over traditional means and in some cases provides brings a new range of possibilities. Digital Signage Group has been helping its associate company Your Work Place to build smart forms of visual communications. With employers looking for better ways to communicate with their staff digital signage is the visual medium that cant be missed. Whether looking for ways to decrease work place incidents or improve product quality the screens are acting a the visual constant reminder to staff. The above sample even keeps staff informed on productivity. Fairfax Newspapers has once again turned to Digital Signage Group to help sell more newspapers. Having developed a network for Fairfax some years ago Fairfax has turned to Digital Group again to install further screens. The screens are most often built into stands and allow Fairfax to instantly update news headline and give them a point of difference at point of sales over their competitors. 7 Eleven is with the assistance of Digital Signage Group growing its network of screens across Australia. Screens are mostly place in the quick food area or Munch Zones as 7 Eleven refers to them and are being used to boost the sale of food related products. 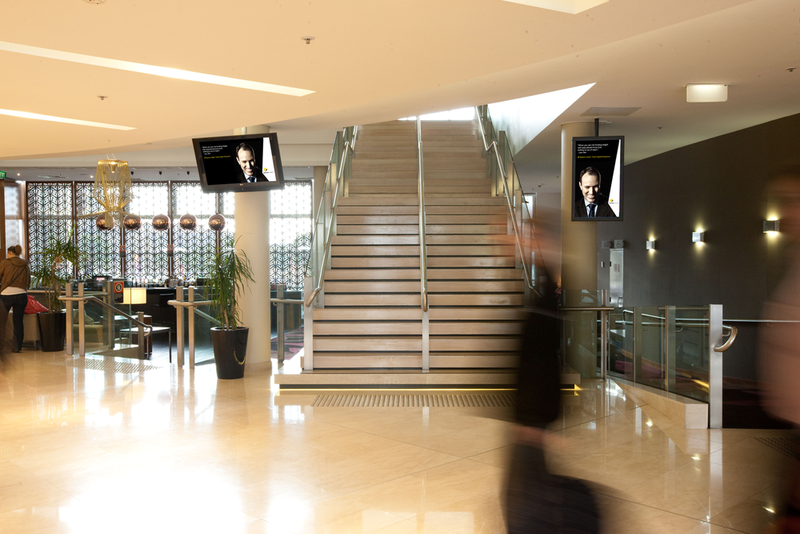 Australia's leading Hotel chain The Accor Group has teamed up with Australia's leading digital signage provider Digital Signage Group to install screens in its Foyers and lobbies. After a competitive tender process DSG won the work and has installed screens across Novotel, Pullman, All Seasons and Ibis hotels. Hotel managers can update screens via the DSG web interface and communicate anything from bar and menu specials to exchange rates and duty manager details. Accor head office use this visual communication tool to tell its guests about sponsorships, loyalty programs and more.